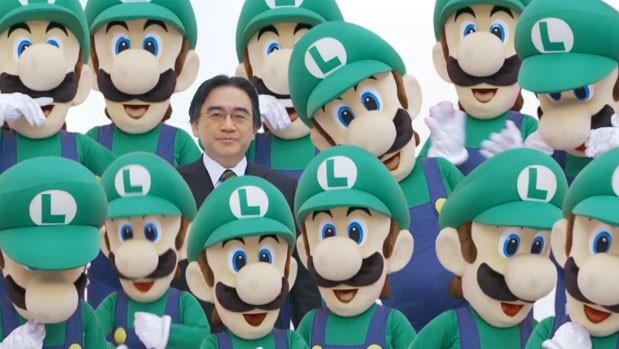 2013 will very soon be but a fleeting memory, and gone with it is the best marketing campaign of the year, Nintendo's Year of Luigi. It's a shame too because Mario's overshadowed younger brother was finally starting to blossom into a full stand-alone character, able to carry the weight of some great games on his own shoulders. Not so fast! Nintendo has conjured up its omnipotent powers to give its loveable sidekick a a few more months in the spotlight. In an interview with Siliconera, Nintendo of America President Reggie Fils-Aime confirmed a few last odds and ends are in the pipes for the plumber brother before this time is up. "There are some Year of Luigi activities that will continue into 2014 — including some of the special products that we've launched (the Luigi remote and the Mario and Luigi 3DS XL) — so there will be some Luigi products to carry the Luigi banner into the next calendar year." Meaning we'll be spending a lot more time with tall, slim, and green until Nintendo is a good and ready to be finished with him. With all the quality games starring him, you have to still wonder what exactly Nintendo has left to do. Could it possibly outdo Super Luigi U, Mario & Luigi: Dream Team, and Luigi's Mansion: Dark Moon? Or does it plan on selling some of those sweet Luigi costumes? Man, I want one so bad. The interview goes on to include the state of the Wii U, the future of Nintendo on the console market, and even a nod toward Xenoblade Chronicles and Operation Rainfall, although its more of a smackdown than a nod. Be sure to give it a read.